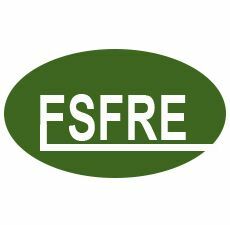 Esfre Trading is involved mainly in supply of quality products to water supply and irrigation projects and has successfully supplied materials and equipment’s to projects which are completed and handed over projects undertaken by public and private institution throughout Ethiopia. The products we distribute ranges from water work related tools and equipment, water distribution items (pipes, pumps etc. ), and water storage equipment, to water treatment chemicals and hygiene and sanitation products. An interesting development was the intention of introducing of solar powered submersible pump units and Bat-wielding services, especially for Ethiopia. From our beginnings in 2009 we built our name and following by providing innovative solutions to customers' agricultural, irrigation machines and pumps in Ethiopia. Today, this rich legacy continues as we strive every day to import and introduce exciting new products and services that deliver the ultimate in performance, productivity and convenience customers have come to expect from Esfre, providing quality products and professional services in the field of water supply. Esfre Trading has undertaken a combination of activities involving supply of water and sanitation related products to public and private commercial or residential buildings, irrigation and water supply projects, It continues to offers innovative products, competitive pricing and professional sales experience to Ethiopia Economy. Esfre trading is registered under the Ethiopian commercial code and licensed by Addis Ababa City Administration Trade, Industry & Tourism Bureau. To improve and strength the national economy in agricultural sector and the materials supply sector in particular by introducing modern and appropriate materials technology and upgrading the quality of the required technical services with high standard services of material/equipment supplies to the various economic sectors of the country so that the much needed sustainable development is achieved within a very short period of time. Our main objective is to deliver high level of customer satisfaction by providing quality input materials or equipment and real value for money. We assure customers cost effective, reliable and prompt supply or delivery services in Ethiopia. In working with customers the group has been influential in the area of precision irrigation and soil moisture sensing. Replacing hand equipment’s in to different machineries in order to make the agriculture sector more productive in all seasons. Esfre Trading is founded and solely owned by Engineer Esayas Michael. All of the engineers, technicians and the administrative supporting staff members are highly skilled and with recognized professional career in their particular field of specialization. The number of professionals is justified by the number of projects contracted and volume of the work at hand. It has a rental Villa House on Bole road, in front of Bole Michael church, which has sufficient rooms for offices and the compound very much convenient for our customers in terms of location and parking area. It has a rental head office and shop around kazanchis, with a total area of 200 m2 which is also convenient for our customers. Extensive supplier database which has been compiled for the last years, allowing us to provide customized goods and services for existing and new clients. Delivery service to all locations throughout the city of Addis Ababa, without any additional charge. The main products we continuously supply to the market satisfies the national and international quality standards. For the purchase of all kind of Agricultural and industrial machineries like Tractor etc….. The company is well known by its after sales services and free of cost maintenance services to different government and non-government offices.